We recognize that all our clients have different requirements but all of them have one common desire: to find something unique and memorable, something they have not experienced ever before in their lives. Our company has everything to respond to the desires of all our customers: we gladly offer them “real” authentic properties located in one of the most charming and hidden places of Goa for very reasonable prices. We have accommodation units in the most famous resorts of Goa states like Ashwem, Morjim, Colva, Calangute, Cavelossim, Agonda, Palolem and others. You will find that many of our houses and villas in a remarkable manner combine the original features of interior design (wooden ceilings, Portuguese frescoes) with the modern comfort and high quality furnishing for luxury and charming holidays. We do not have any similar villas: every villa is unique and completely differs from another accommodation unit. That’s why it matters that each time you are coming to Goa, you will leave this small piece of heaven with new amazing impressions again and again. We are doing everything possible to make your holidays in Goa an unforgettable journey and great adventure. Only with us you will have a truly genuine and authentic experience of holidays in a luxury manner being surrounded by the local traditions and cultures so that you can completely feel the savour and taste of real Goa life and receive only the positive impressions from your trip. What do we serve? 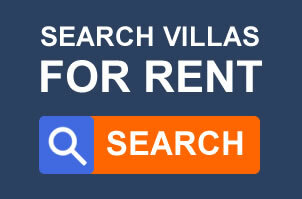 First of all, the rent of amazing suitable private villas in different parts of Goa. The Goa Villa has a complete portfolio of all types and categories of private villas for rent that are located in the most prestigious and unique Goa resorts. Every villa has a comfortable bedroom with new modern furniture, bathroom, sitting room with TV and well equipped kitchen with a set of dishware and kitchen fitting. In short, all the villas we suggest our customers for rent have everything necessary for luxury and comfortable holidays. a quick, easy and secure system of villas reservation combined with an efficient technical support and help of our managers for making the selection and further booking of your private luxury villa free and unproblematic. Our extensive portfolio of prestigious properties is the result of a long and careful selection made by our highly qualified team of professionals who are always ready to help the customer to choose the exact type of accommodation unit that will be suitable for them. Our clients have shown us how much it is important for them to feel at home and how often even the smallest details mean much more to them. In the work of our Company the words experience, professionalism and high-quality of services mean a lot. That’s why we pay lots of attention to the selection of our staff, and therefore only real professionals, people who know our business are working with our customers. Due to this, with Goa Villa you can always be calm: we would do everything to turn your vacations into amazing and unforgettable holidays that you will never forget. To make you, our dear clients, feel like at home is our main priority, so we will always meet you directly at the villa you have booked on your arrival and we will be close to you throughout your stay to satisfy every of your requests. You can not only ask us to help you with the choosing of the most interesting excursion around Goa, but also to request our professional cleaning and to change bed sheets (even daily), hire a car with a private driver or without, book a wine tour and even request a private chef to try the most delicious dishes from the local cuisine that would be cooked especially for you. Travel, enjoy and discover new places of Goa with Goa Villa!